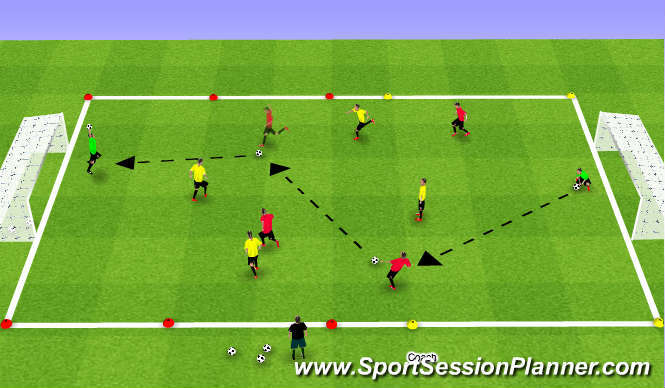 Player dribble step/touch around the yellow box. If coach shouts a body part, players stop & touch ball with that body part. 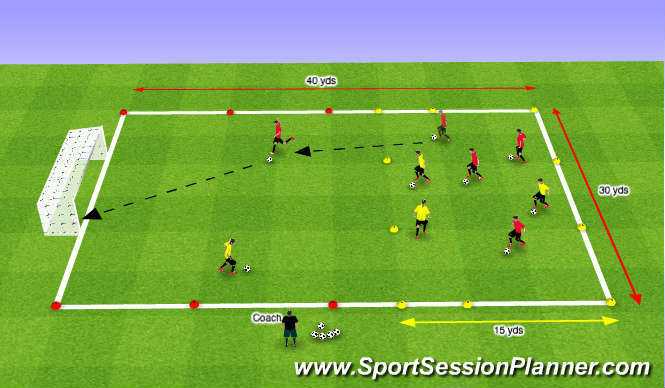 If coach shout a number & the corresponding player has 3 touches to get out of the box and strike at goal. 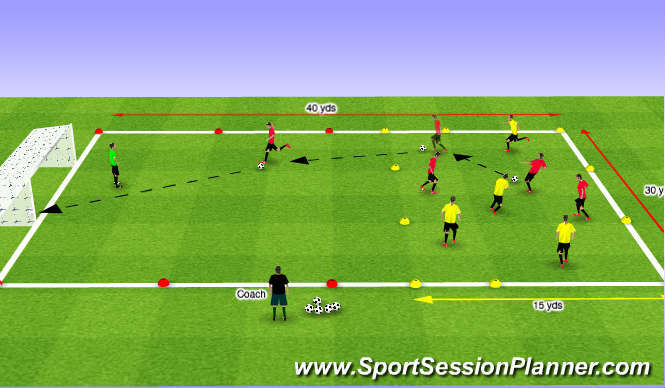 Players retrieve ball and dribble back to yellow box. 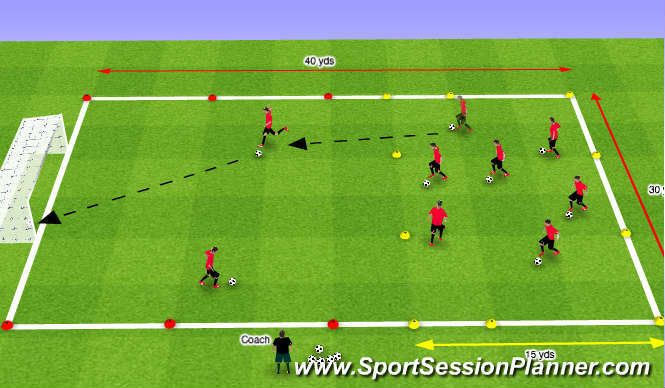 Frame goal; good 1st touch; head up; planting step, strike at goal.